Moth expert Professor Doug Hilton will travel from Melbourne and CSIRO entomologist Dr Don Sands will return to Rainbow Beach after a new discovery of a small but significant moth and will give a public presentation 7pm, Saturday October 6 at the Rainbow Beach Hall. Cooloola local, Shelley Gage drew the attention of the scientists at the recent Cooloola BioBlitz to the moth that excited such interest. Although it is only a few millimetres long, Dr Sands said that it may hold the key to saving threatened Boronias including the endangered Wide Bay Boronia. Over 90 scientists and citizen scientists (keen amateurs) aged from 8 to 80 ‘blitzed’ the bush surrounding Rainbow Beach to identify plants and animals during this pioneering event by the Fraser Island Defenders Organisation (FIDO) and Cooloola Coastcare. Spider expert Robert Whyte said that of the 350 specimens of spiders collected covering 35 spider families he has already identified 20 to be new species not previously described. He said that having collected all over Australia, Cooloola was amongst the top spots for biodiversity he had encountered. 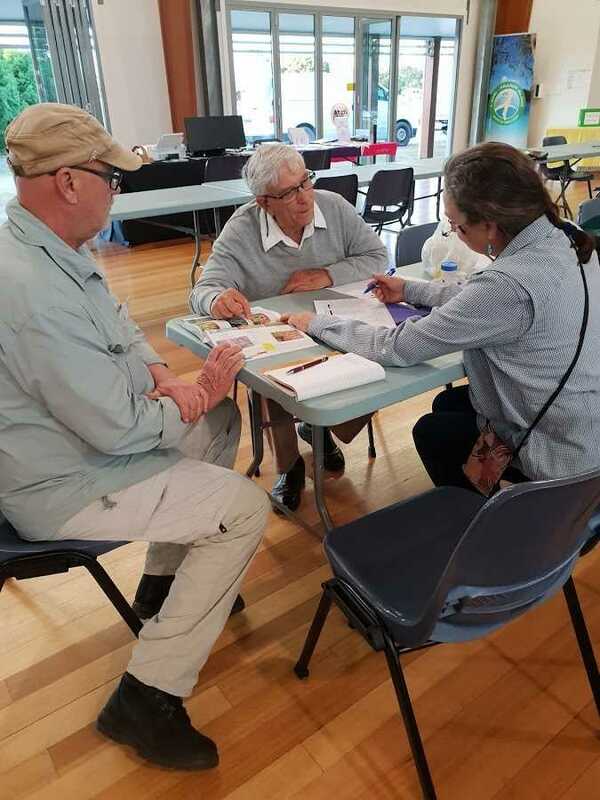 The bird observers listed 99 different species seen over the weekend but because Cooloola is regarded as one of Australia’s top sites for bird-watching, all had been previously recorded for the area. Planning for the next large-scale BioBlitz has already begun for May 17 -19. Visit Coastcare’s website for details of the October presentation or call Lindy Orwin on 0478 039 322.